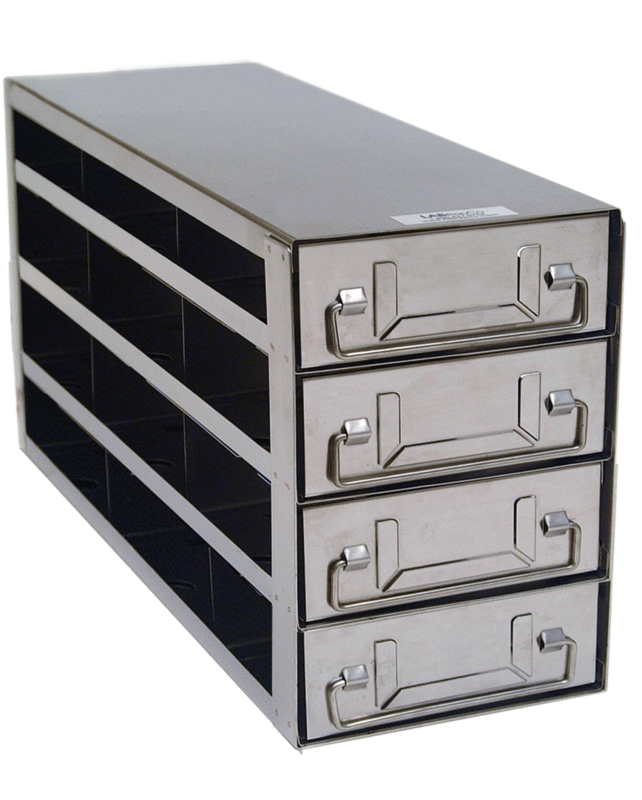 For storing two-inch freezer boxes made of cardboard or plastic, but not for hinged-lid plastic boxes that store 100 microtubes or cryovials. 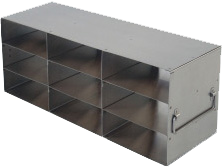 There are many different variations of freezer racks for two-inch cryo boxes. Looks for racks with side-entry, drawer racks and sliding (also called tray) racks. 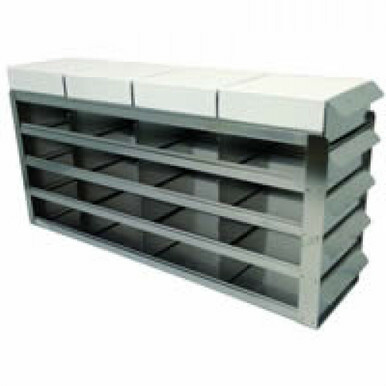 Side-entry freezer racks can require removal of the entire rack to reach the particular box in need, so be sure there is ample clearance to allow for this type of access when selecting one of these racks. Where space is tight, a drawer rack or sliding freezer rack allow the entire rack to remain in place and the cryo boxes are accessed by extending the drawer or shelf that contains the box of interest. Here too, make sure the rack is located with enough clearance or that the freezer door can be opened to make it easy to extract the drawer or shelf. We do not promote economy freezer racks. Despite the financial savings, Stellar Scientific does not feel they provide adequate protection for valuable samples.